O2 closes Openzone to customers, Windows start button to return, smartphones cause Tube delays, hackers post EDL member details, sign up Josh Turnbull! 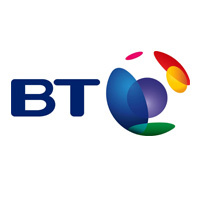 O2 is to stop access for its customers to BT Openzone, following the end of a four year contract between the two telecoms companies on 1 July. This means that the company will lose around a third of its UK wi-fi hotspots, although access to the firm’s own 8000-strong wi-fi network won’t be affected. “We’ll continue to extend the reach and scale of O2 wi-fi through exciting partnerships with venues including O2 shops, restaurants, retail outlets and outdoor and indoor locations across the UK,” O2 said in a statement. According to Kester Mann, talking to the BBC, this could mean that O2 will struggle to meet data requirements for its customers in future, especially since the company lost out at the 4G spectrum auction earlier this year. “The reduction in the number of hotspots is a blow to O2 customers,” he said. “At the recent 4G auction, O2 failed to secure frequencies at 2.6GHz. This may mean that it will struggle to meet the growing data-needs of its customers, particularly in high-density areas. “A focus on alternative technologies such as wi-fi may have given the operator the opportunity to address this potential shortfall,” Mann added. Microsoft are to resurrect the infamous Start button when they release an update to Windows 8 later this year. A preview version of Windows 8.1 will be released at this year’s Build developer’s conference and a full version is expected to hit the Windows Store by the end of the year. Microsoft has come in for widespread criticism following the launch of Windows 8, with users reporting it to be confusing and difficult to use. The operating system has also shouldered some of the blame for the rapid decline in the PC market so far in 2013. However, the start button won’t display a full menu, but will instead feature the Windows logo and a Start ‘tip’, a feature which already exists when users hover over the taskbar. Further changes are to be announced over the course of the coming weeks, but it’s not thought that any menu options will be added. The Start button has been a familiar and integral part of the operating system since Windows 95. “We built Windows 8 for a world where touch is a first class interaction model, the same as mouse and keyboard; and where there’s a proliferation of innovative and diverse devices that are highly mobile, always on the go and always connected. Windows 8 was built on the reality that the lines between our work and personal lives have blurred,” Microsoft said on the Windows blog. Some reports describe the reintroduction of the Start button as a “U-turn” on the part of Microsoft, who last month said that the new version would not have it. However, users and bloggers hit back making it clear that it was what they wanted. Further improvements include more choice for background colours and themes, as well as the ability to use the lockscreen as a photo frame. Microsoft say they will also be improving a number of the built-in apps that come with the software. Following the installation of wi-fi on the London Underground, it seems that smartphone users are holding things up as they keep dropping their phones. The problem has led to a special announcement being trialled on the Victoria line. “We’re asking customers on the Victoria Line to be more careful with their mobile and smart phones while waiting for a train,” said Dean Horler, stations manager for the Victoria line. He went on to say that some passengers had gone as far as to put their life at risk by jumping down from the platform to get a phone they have dropped on the rails. A group claiming to be part of the hacktivist group Anonymous has posted a list online of the names of more than 200 people they say are members of the English Defence League (EDL). It’s thought that the mobile numbers of the members have also been supplied. Anonymous said that the EDL “should have expected this” and warned that more is on the way. The EDL has been especially active since the murder of soldier Lee Rigby in Woolwich last week and have held a number of demonstrations around the UK. Mr Rigby was killed on the way back to his barracks from work, the killers were filmed in the aftermath of the attack claiming it was an act of revenge for the killings of Muslims. If this little lad didn’t want to be a footballer before this video was taken, you can bet he does now after a taste of the limelight at Chelsea. Listen out for the roar of the crowd as Josh confidently taps the ball into the net!